We’ll talk about the frequency response of this Froggy Bottom here in a moment, but let’s take a moment and talk about something far more important. 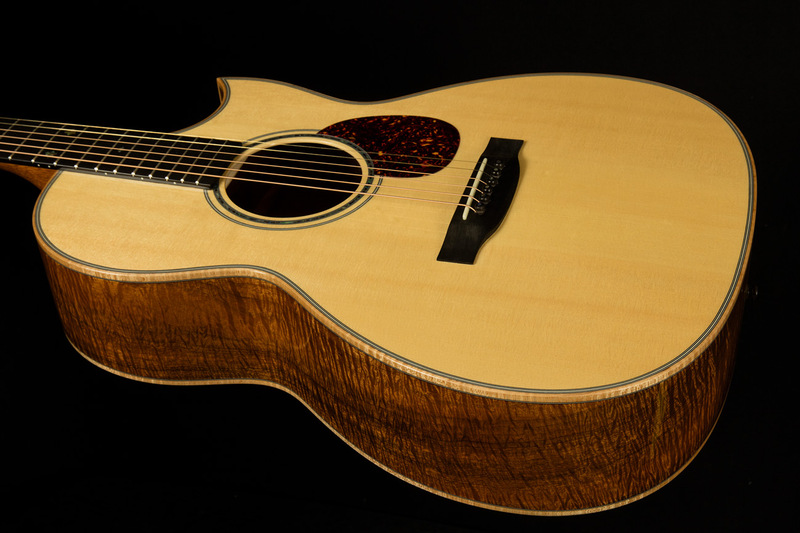 One-of-a-kind instruments like this H-12 all have a certain set of intangible attributes. They have sonic qualities that hit the player in the heartstrings as well as the eardrums, and these feelings motivate the player seek new avenues of self-expression through music. For instance, some Stratocasters have a fiery sound, and I play angry blues on them, while others have melancholy personalities that make me want to make the guitar cry. This Froggy Bottom filled me with pure joy the second I hit the first G chord, and playing it for ten minutes made my day ten percent better! Now, let’s take closer look at what sonic characteristics help this guitar cultivate delight. We’ll begin at the beginning with the attack, because it is quite special! 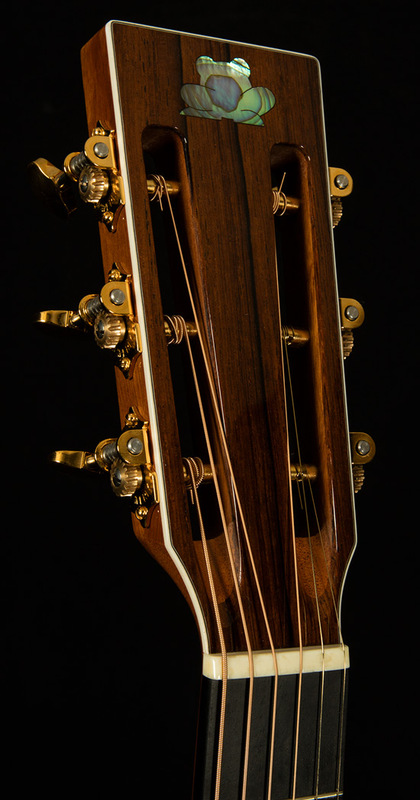 I love acoustic guitars that have a woody, percussive attack, but I don’t love how easy it is for that sort of attack to become harsh and gross when you dig in. Thankfully this H-12 stays sweet and musical no matter how hard you hit it. 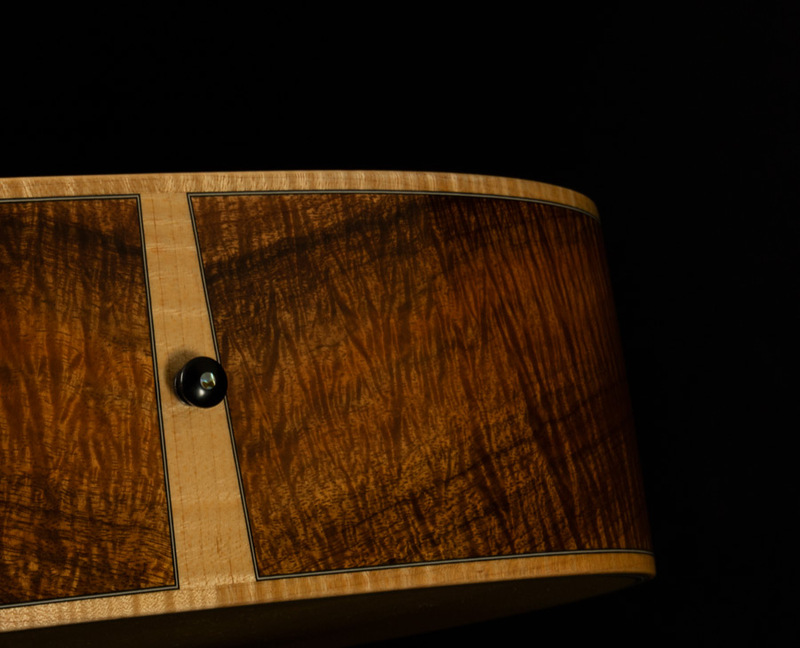 Digging into this guitar with your right hand is like laying into a vintage Ludwig snare drum made of mahogany. The note stays rounds and clear—it just thoomps and thwacks with greater force. The low end that this guitar produces is also nothing short of spectacular. 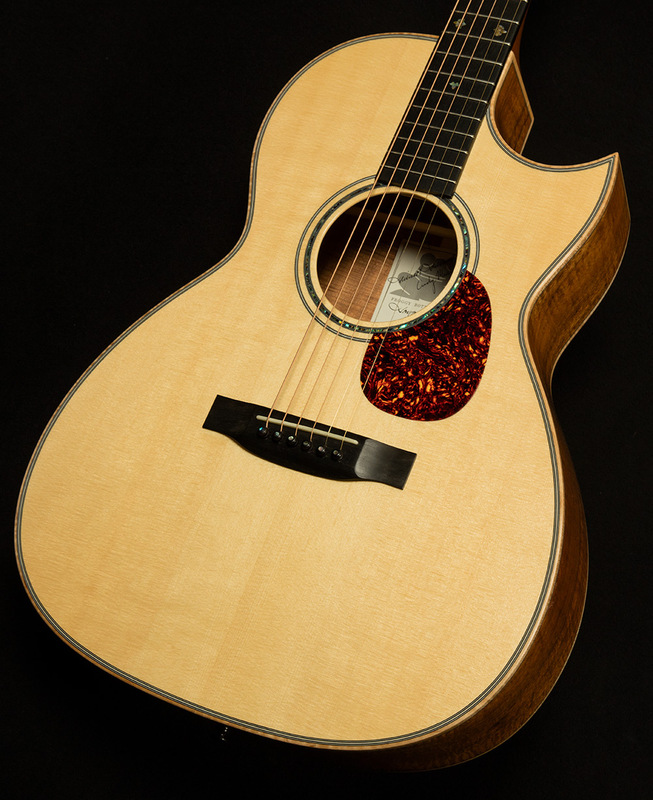 Oftentimes, when an acoustic has dry, clear bass response, its timbre is rather warm and pillowy. This guitar’s lows are quite transparent, but their honesty and clarity does not prevent them from sounding bold and brash. Imagine Lawrence Fishburne shouting for joy and you’ll get a rough idea of how vocal and powerful this guitar’s bass frequencies really are. 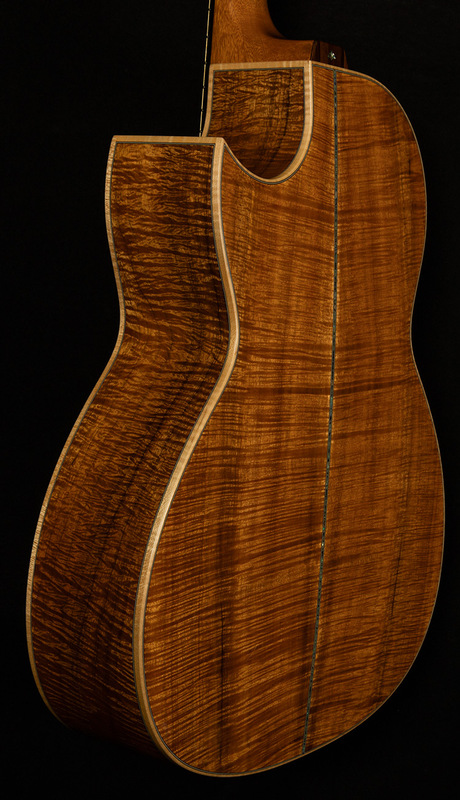 Koa back and sides make the midrange sound broad and sweet when you play softly, and when you push the top by playing harder, you are rewarded with a wealth of beautiful even-order harmonic overtones. This rich top-end resonance lends the treble frequencies a rare combination of density and lushness that gives single note runs jaw-dropping weight and power. On the other hand, strumming away on full chords creates a golden cloud of pretty sound in the high end, and playing for a few minutes in the open position evokes a feeling similar to the one you get when the sun peeks out from the clouds and ends an overcast day. Put simply, this guitar sounds like a summer day! I sat and cycled through open chords on it for a good five minutes, simply because I wanted to marvel at how great it sounded without thinking too hard about what I was actually playing. 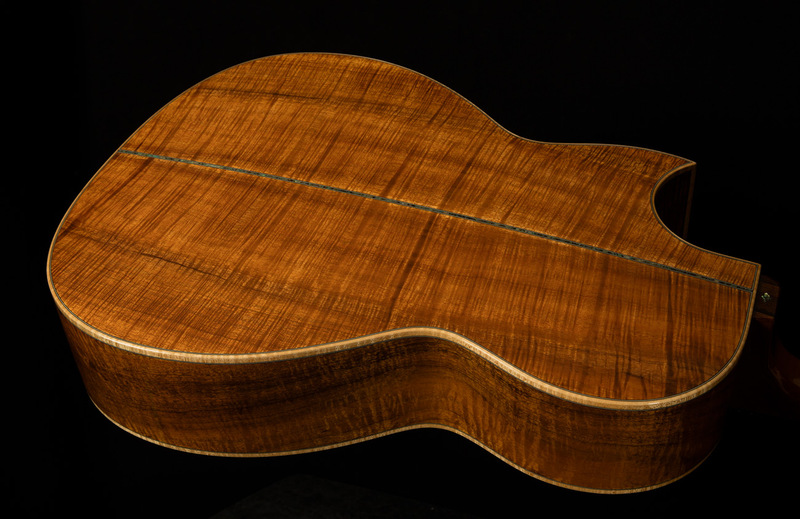 Hearing this guitar is like looking at a great painting, except that you get to participate in making the art! 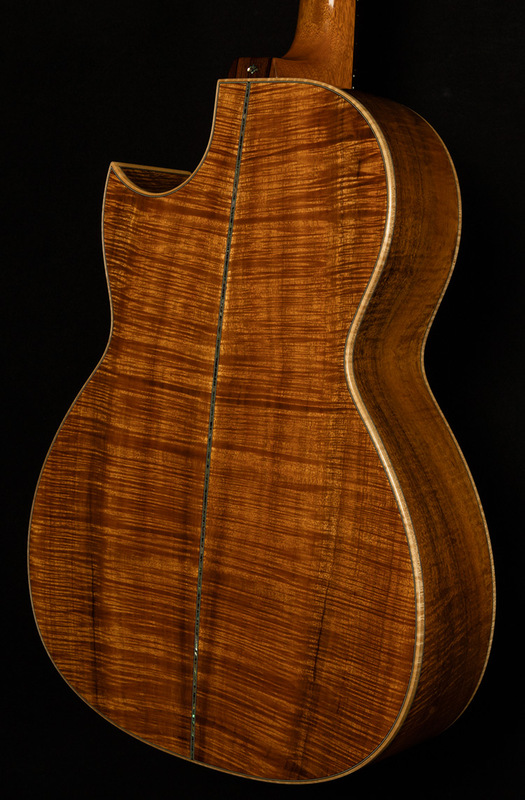 Wildwood Guitars is proud to showcase an instrument that cultivates such visceral joy, and we know it will provide some lucky acoustic enthusiast with sunshine every day, regardless of what the weather looks like outside. This incredible-sounding guitar is in excellent condition overall! 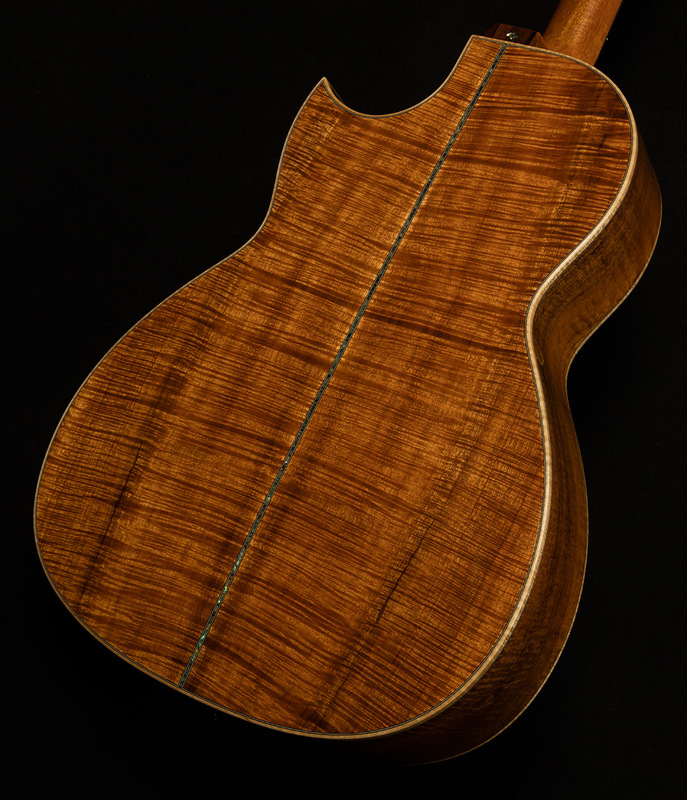 There is some natural settling of the lacquer finish on the back of the guitar, which is a natural part of the aging process for a lightly built, high-end acoustic guitar. Aside from this, the guitar exhibits very minimal signs of play. Includes its original hardshell case.